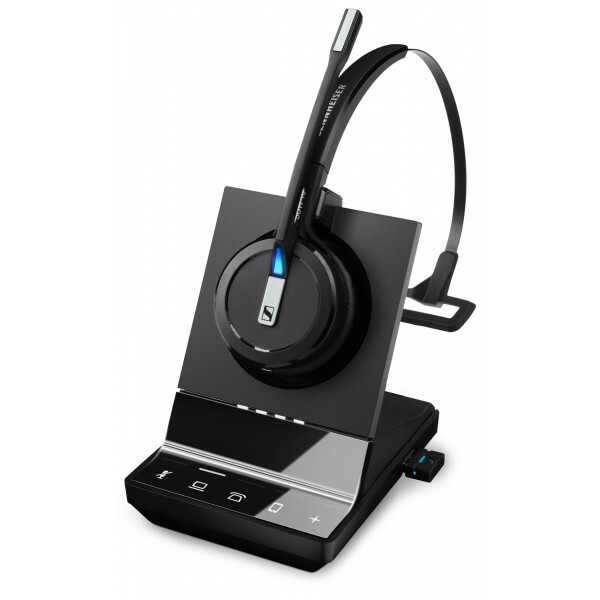 Is a corded or wireless call centre headset better? A wireless call centre headset is always better because not only are there no cables, but the sound quality is equally exceptional. Some people think a wireless headsets sound would be inferior but this is simply not the case – if it is you can’t physically hear it! 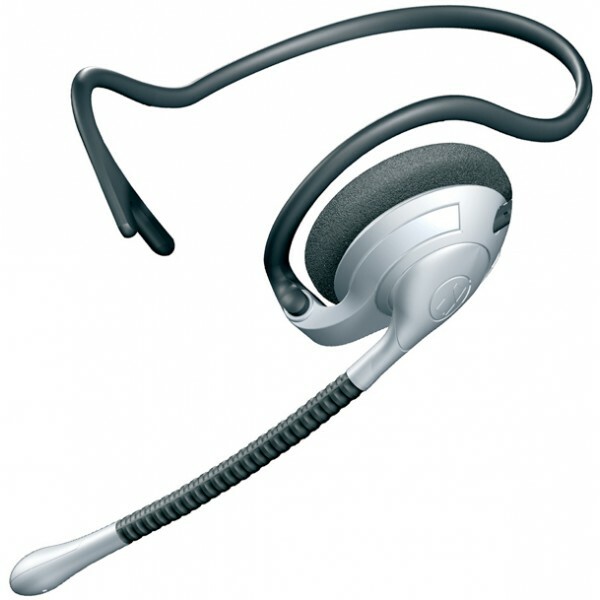 The real call centre operators choose a corded over a wireless headset is because of the price. That’s fine for larger operations but if your staff move around and still needs to answer calls then a wireless option may well deliver a better ROI. 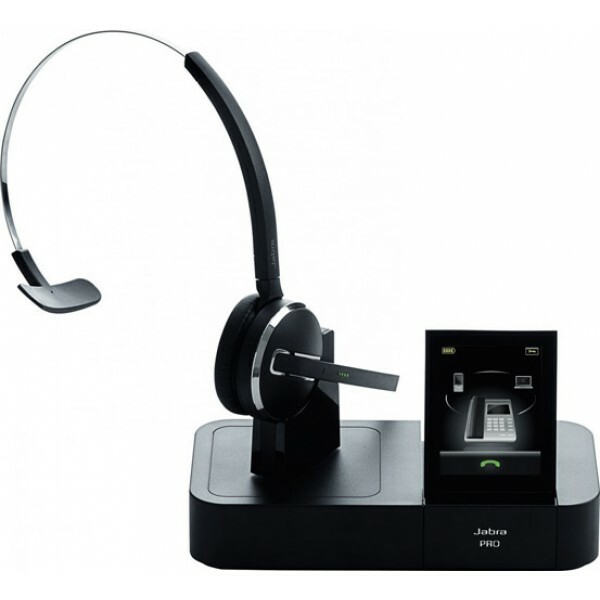 Why do wireless call centre headsets range from $230 – $500+? It isn’t so much about the quality of the headsets. 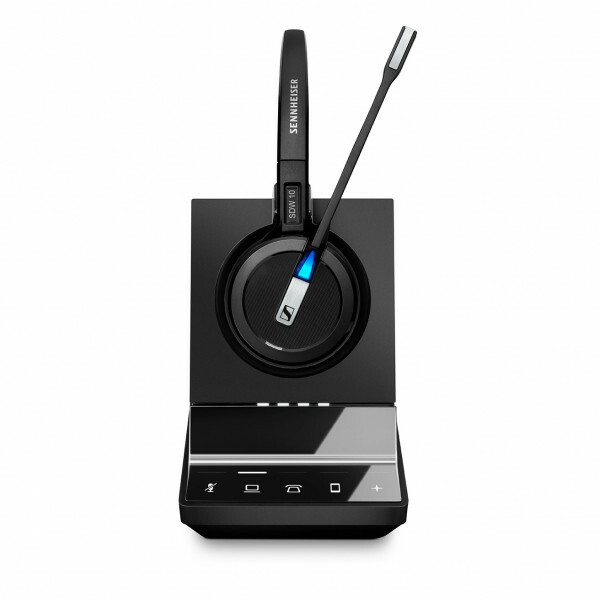 Even our cheapest wireless call centre headsets offer excellent speaker and microphone quality. The key difference is in the applications and devices they can work with. Most people want a call centre headset for the staff’s desk phone exclusively. These are available for $2-300. 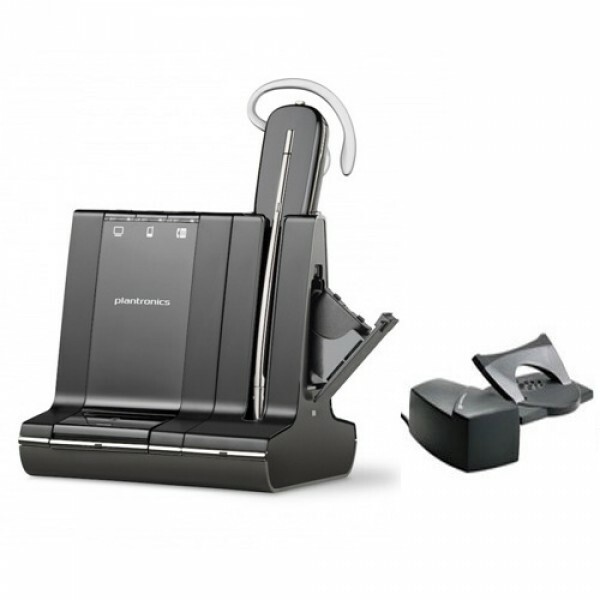 The next step up is when you have a call centre headset that also works with your computer for UC (unified communications) and/ or you mobile for complete office communications. You can literally have one headset for everything so if you have a unified communication requirement then the extra money is definitely worth it – one headset for everything. What do I need to answer calls away from a call centre station? If you have a corded model you need a miracle. 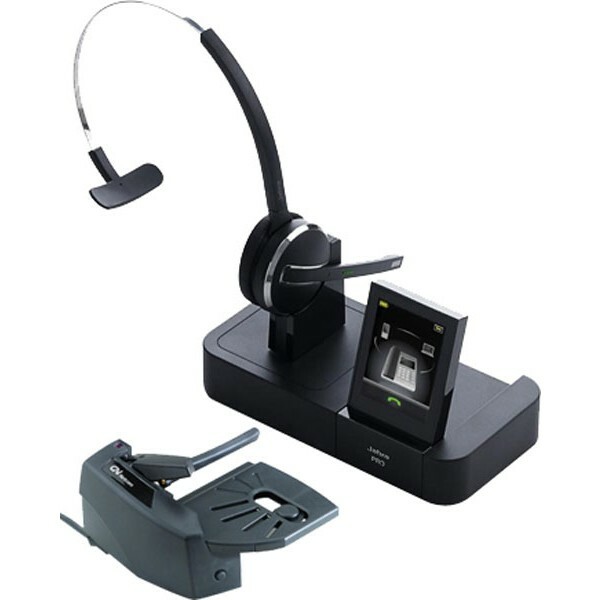 If you have a wireless call centre headset you need either an electronic hookswitch or a lifter. Both do the same thing but employ different technology. 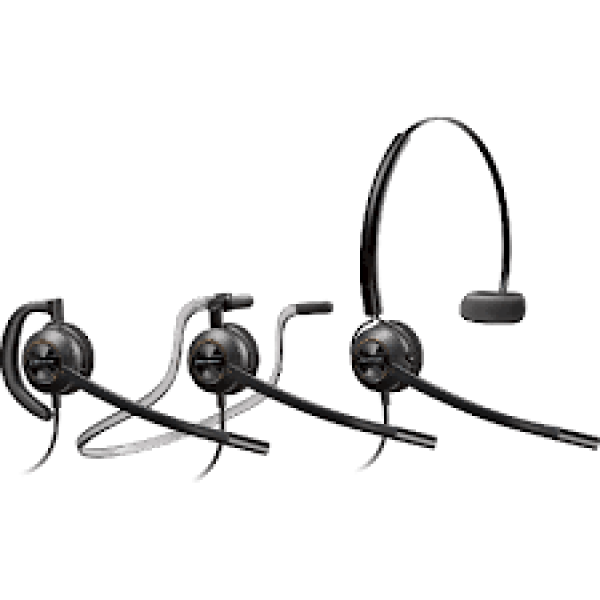 We supply a selection of wireless headset and lifter bundles to save even more. How does a wireless headset lifter work? When you are away from your desk the phone beeps in your ear for an incoming call. You then tap the button on the side of your wireless call centre headset and this sends a signal pack to the lifter or hookswitch to pick up. To end the call you simply tap the button again. You can’t transfer calls from a call centre headset only answer/end calls. How does a headset for call centre operators reduce neck strain? Telephone associated neck injuries are very common and we deal with customers every day that have been advised by medical practitioners and physiotherapists alike to buy a call centre headset. 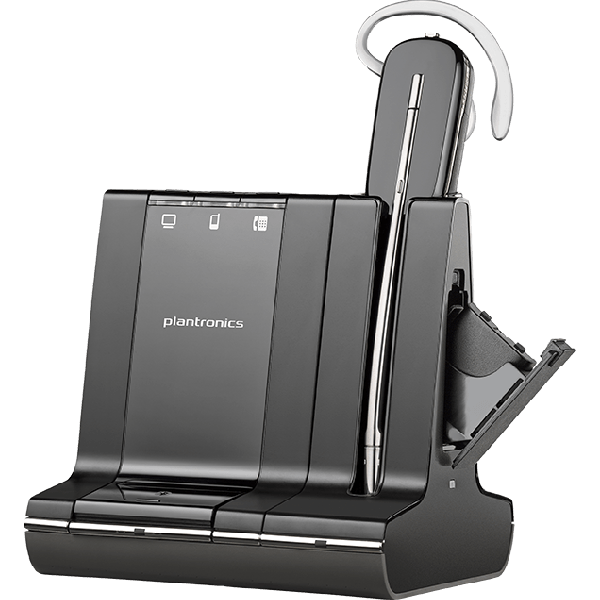 It’s probably no coincidence that Plantronics headsets are endorsed by the Australian Physiotherapy Association. Neck strain occurs when trying to multitask with a phone handset in the crook of your neck and typing in the other. This can, and does, lead to painful, even long term injures. For such a small investment, a call centre headset of any description addresses this problem as it frees up the hands completely. 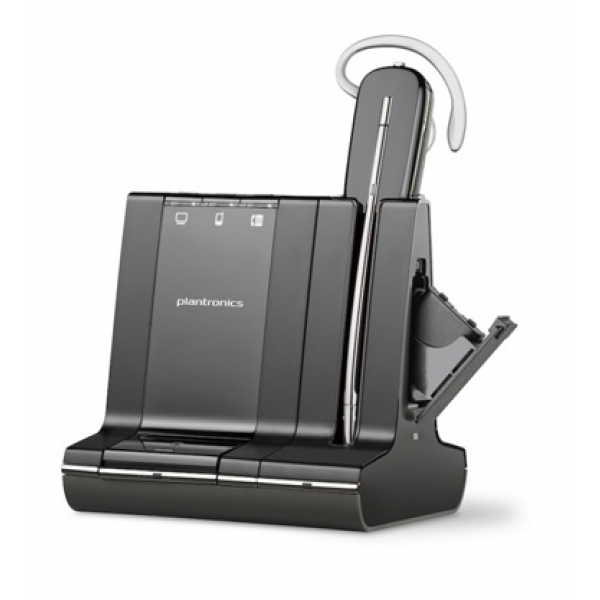 With a call centre headset you then simply have to worry about posture, correct desk height and seating position for data entry. Should I have a monaural (one ear) or a binaural (two ear) headset? 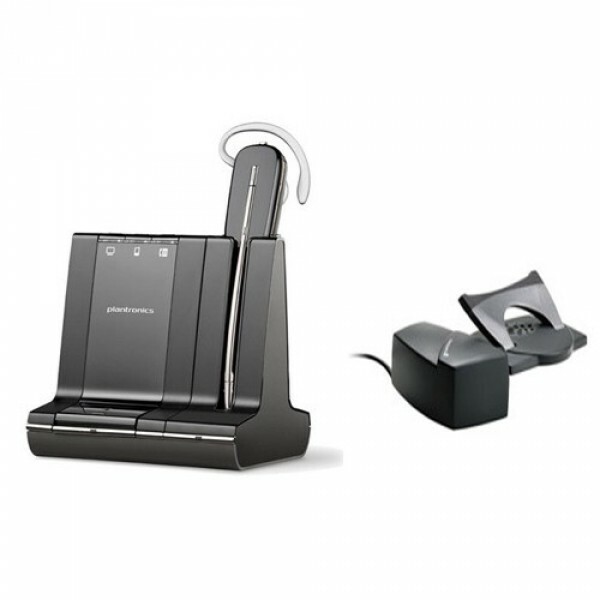 If you are in a very loud call centre environment and want to block out the background noise for yourself then a binaural call centre headset is probably a better solution. It allows you to focus more on the call and is also better for your long term hearing. They actually recommend binaural if you spend more than 4 hours a day on the phone for that reason which applies to most call centre operators. If you want to hear what’s going on around you then go for a monaural call centre headset instead. Does a noise cancelling microphone on a call centre headset work? Undoubtedly! Noise cancelling mics eliminate a huge amount of background noise and stop callers hearing what’s going on around you. You can even buy ultra noise cancelling options that are quite astonishing in the amount of noise they filter out. Some type of noise cancelling is imperative for any call centre environments or close knit open plan offices. 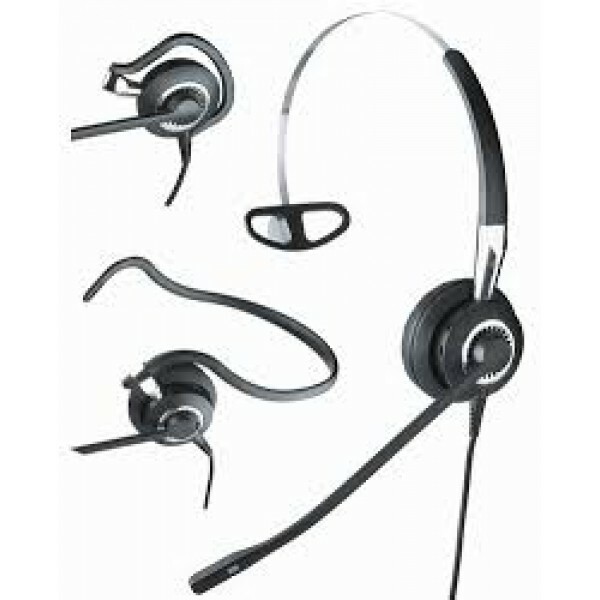 Which brand of call centre headset is best? 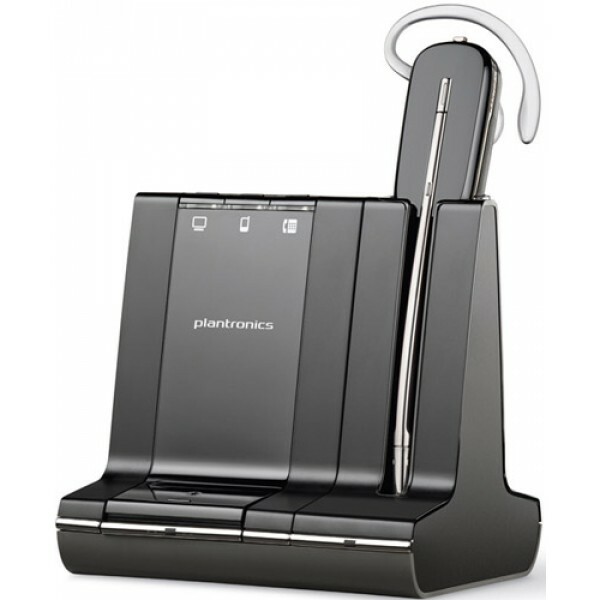 When it was basically a one horse race years ago Plantronics call centre headsets were undoubtedly the best. 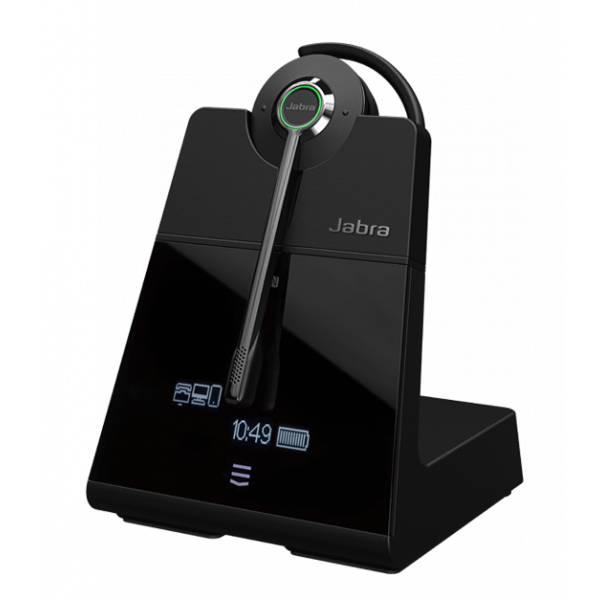 Now it is very much a 3 horse race between a Sennheiser, Jabra (formerly GN Netcom) and a Plantronics call centre headset. 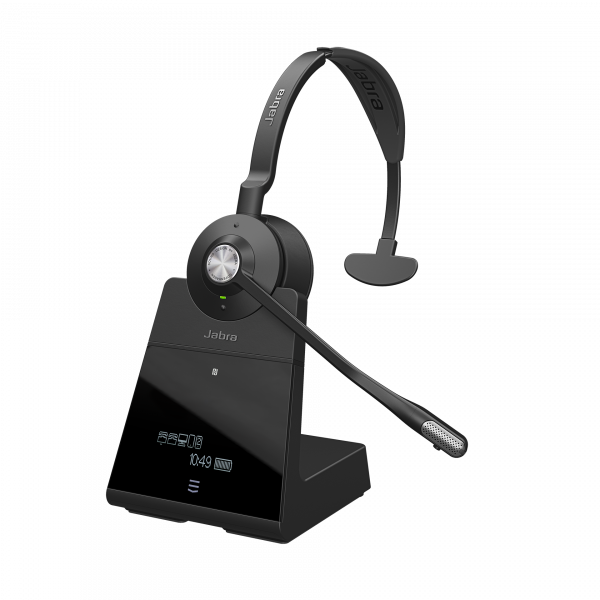 Different call centre headset models offer different features so that is what should determine the right headset for you. Our suggestion is to use the advanced filter on the left to reduce your selections to exactly what you want then choose the one you like the look and price of. With our satisfaction guarantee you simply can’t go wrong. Now all you need to do is call - give our friendly experts a call on 1300 889 728 to place your order and enjoy the benefits of quality sound and comfort provided by our GN Nectcom, Sennheiser, Jabra or Plantronics call centre headsets in no time. 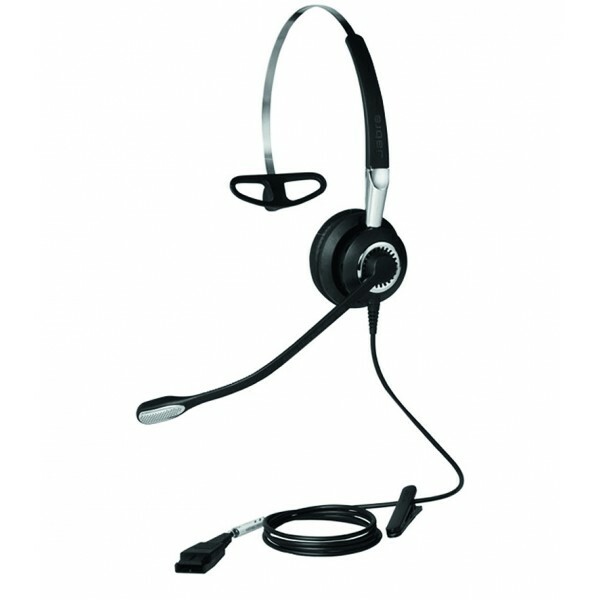 *Multiple call centre headset buyer discounts are available on retail purchases only. Offer excludes government and corporate buyers. To learn more about government and corporate pricing call us on 1300 889 728.